The true magic of what we do is in our film transfer process. While most of the others are focused on churning out film for the lowest price possible, we focus on quality. We go through painstaking efforts to give you something you'll be proud to share - and that you and generations to come will be able to share. This is the important stuff. Click Learn More Now. Use our online estimator tool or give us a call at (888) 405-2685. We are always here and happy to help you understand your options - and to see if we are the best fit. Call us. We actually answer the phone unless we are on the other line. Try it, give us a call to let us know what you are looking for and we'll let you know if we are the best match - if we aren't - we'll tell you who to call next. Here's a comment that we received from a client who came to us to redo their film after having Costco process it. The video above also demonstrates some of the important differences in our processes - and why Legacy Digital is the obvious choice. I had problems with Costco when I had my film transferred and then a friend of mine recommended me to a company called LEGACY DIGITAL PRODUCTIONS based out of Southern California, so I tried it out myself. They actually came out to my office and picked up my film free of charge and then delivered it back to me when it was done. Compared to Costco’s transfer, the footage came out WAY better. They had even color corrected all the faded film, which was kind of a surprise since I didn’t even ask for that. They were alittle more expensive but in this field I have found that you essentially get what you pay for. Either way I was extremely happy with the results. You will only be charged for the total number of feet transferred. That means you can send us 20 half-full reels and you won't pay the full "per-reel" price like other services. The estimator assumes full reels, but our clients typically pay a little less. Get our Premium Quality Service which includes full Frame-by-Frame scanning beyond FULL HD resolution, full manual color correction and Advanced Grain Reduction for about the same cost as our Basic Quality price. We also use Cold LED lighting, and every inch of film is cleaned, reconditioned and lubricated. 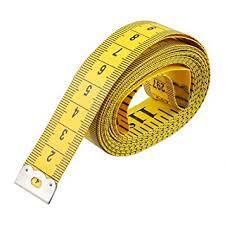 Starting at just $0.32 per foot - a savings of $0.18 per foot! Our Basic Quality Scanning includes full full Frame-by-Frame scanning at FULL HD resolution. We still use Cold LED lighting, film is cleaned, reconditioned and lubricated and multiple file formats are available. This service starts at just $0.29 per foot. Currently - you can also upgrade to our Premium Grade starting at just $0.03 extra per foot - that's a savingsof $0.18 per foot! Full Frame-by-Frame scanning beyond FULL HD resolution, plus full manual color correction and Advanced Grain Reduction. We also use Cold LED lighting, and every inch of film is cleaned, reconditioned and lubricated. When you want the best possible results, you want Premium Quality scanning! * This service is on special - please chose the Special option for quality to save now! * Legacy's Current Special includes Full Manual Color Correction & Advanced Grain Reduction for no additional cost. * WAIT: Change your transfer quality type back to the SPECIAL PRICING to take advantage of this great offer. Don't know the total number of feet? That's fine, our estimator will help you. Simply choose Number of Reels and let us know how many of each size reel you have. The estimator assumes full reels, but you'll only pay for the amount of film we actually transfer. What size reels do you have? What size reels do you have? And how many of each? For reels larger than 7", please call for a quote. * If you selected to estimate by Size of Reel, the total footage has been calculated by the industry standard number of feet per reel. Your reels may or may not be full. If they are not, you'll only pay for the amount of film on the reel. 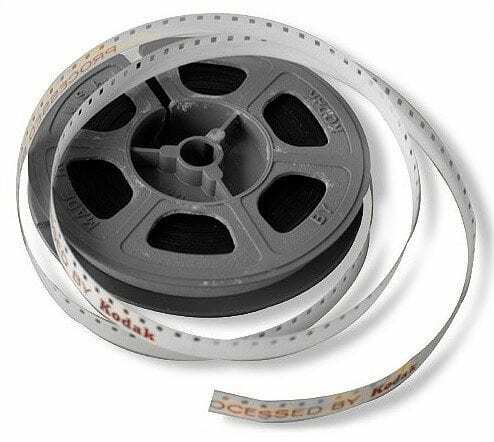 Please call use for a quote for reels larger than 7"
How many video tapes do you have? $19.95 per tape - All formats under 2 hours. $0.45 per slide for 999 or less. $0.39 per slide for 1,000 - 2,999. $0.35 per slide for 3,000 or more. $0.20 per photo 300 DPI Reslution. $0.30 per photo 1200 DPI Resolution. 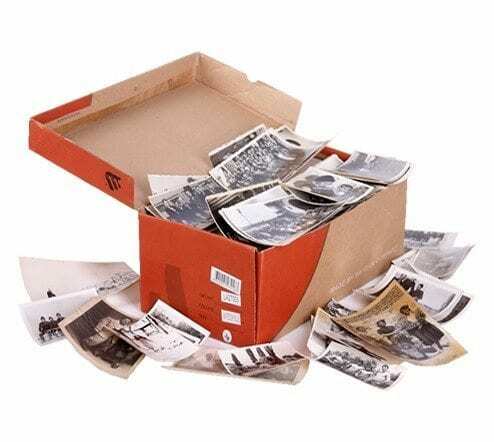 * Photos in albums or attached to sheets will be billed at an extra $0.50 (Discounted to $0.25) per photo. This is not included in the estimate. * Photos that are poor quality will be billed at an extra $0.50 (Discounted to $0.25) per photo as more work and care is necessary to properly convert them. This is not included in the estimate. * Photos that are poor quality will be billed at an extra $0.50 (Discounted to $0.25) per photo as more work and care is necessary to properly convert them. This is not included in the estimate. You will not be charged twice for poor quality photos which are in an album. * Inquire about additional copies of DVD's and Blu-Ray Discs at $28 per disc. Number of discs varies based on film type and length of footage. Buy Hard Drive from Legacy? 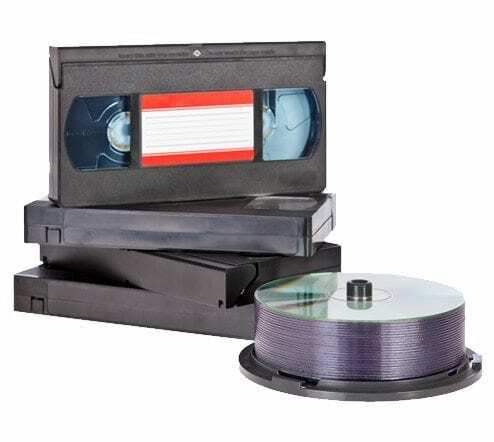 * Inquire about second storage option for video tape transfer. * We're sorry but your order is below our minimum order of $50.00 US per category applies - not including storage media or applicable taxes. Please add film, slides, photos or video tapes to meet our minimum. Otherwise, please proceed if you would like to continue and you are OK investing the minimum service charge to process your order. Would you like us to email this to you? Yes, email this estimate to me! If you'd like to have a copy of this estimate emailed to you, speak with us, or even send in your media for conversion, just complete the remainder of this form. We'll send you a copy of the estimate with which you'll be able to send in with your media and we'll get started on your order right away. Enter your contact information. Upon completing this portion of the form you will be able to send in your request. If you will be using this estimate to send in along with your media, please include any special instructions here. 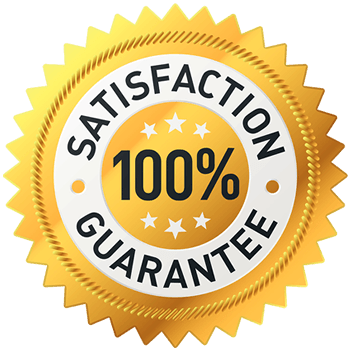 If you'd like to talk with us after completing your quote request, simply click Yes and we'll call you at our earliest opportunity. Yes, please inform me of upcoming specials! * Actual price may vary. Additional options such as duplicate copies, titling, menuing, etc. may be available. 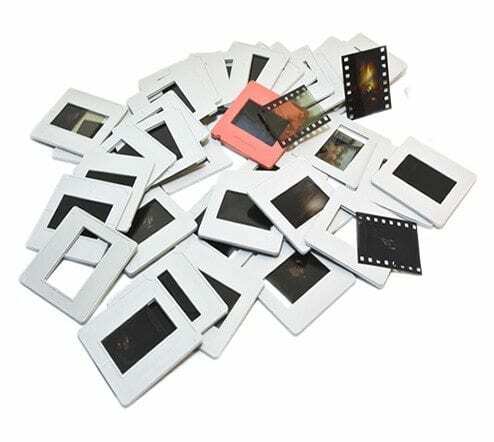 If transferring film, the total footage for film transfer has been calculated by the industry standard number of feet per reel. Your reels may or may not be full. If they are not, you'll only pay for the amount of film on the reel. ATTN California residents: Sales tax may apply if purchasing service including a hard drive or media is included such as a DVD, HDD, thumb drive or Blue-ray. Actual tax may vary. * Costco is a Registered trademark of Costco Wholesale Corporation. Legacy Digital Productions, LLC is in no way related to or affiliated with Costco Wholesale Corporation. Video is actual example of work product provided by a Costco custom who hired Legacy to redo the job. "We are not finished until you love it. We will do everything within our technological capabilities using our state-of-the-art equipment to create the highest quality video and image captures possible. With that said, there is only so much that we can do with some older and heavily degraded media. We can assure you though, we will give you as good or better product than anyone else in the marketplace…And if someone else can produce a visibly better product, one which is noticeably more colorful and clear, we will refund your money. Sign up for our email list and receive a coupon code to take an additional 10% off our already low prices!